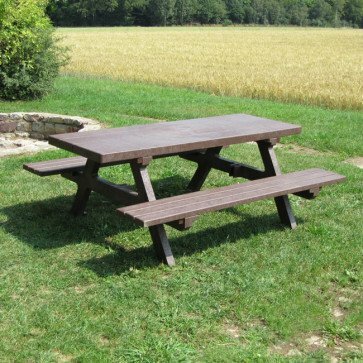 Our recycling benches are weather-resistant and can be left year round at their place of installation. They don’t rot or splinter, they are humidity repellent,UV-resistant and owing to steel reinforcements – dimensionally stable. Their rugged design provides protection from vandalism. A high level of seating comfort is guaranteed.